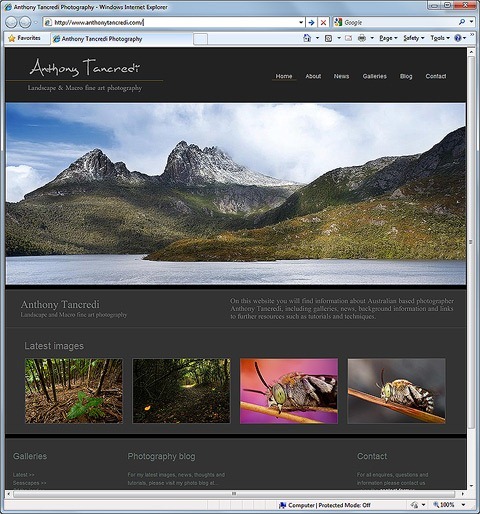 After a lengthy redevelopment period, I’m pleased to finally announce the launch of my new website, anthonytancredi.com. The development process has been quite long and slow, so it is a relief to finally have the site up and live. I hope you can stop by and have a look around sometime! 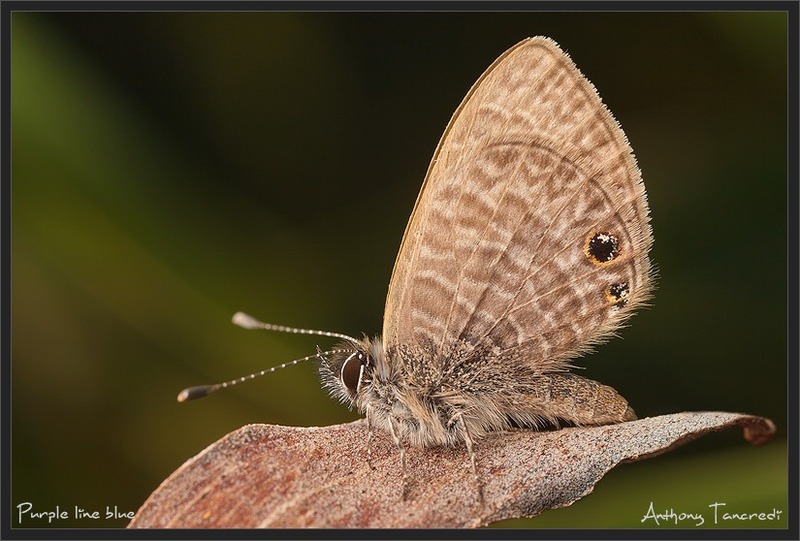 As noted a few weeks back, I have begun work on a new macro tutorial series entitled “The art of Macro Photography”. Due to other commitments, including the imminent launch of my new website, it has taken a while longer than I had hoped to produce the first part of this series. But I am now happy to report that the first part is now ready. I have decided to start slowly, with Part 1 being a simple introduction to the genre and will be moving on to the next part shortly. By the time the series is complete, I hope it proves useful and informative to at least some out there! Of course, if you have any feedback about this first part, as requests for anything you would like included in future parts of the series, feel free to let me know! Below is a direct link to a downloadable pdf document. Either click to view directly, or right click and choose “Save as” to save the file to your PC. One of the questions I am most often asked by people viewing my macro images is “where do you find these things?”. The answer to that is simple… most places you look! Insects and the like have acclimatized to and infiltrated our everyday life to an extraordinary extent. We cross paths with them every day, but most people are simply oblivious to their presence. So does this mean that most macro shooters simply shoot around the house? Not at all! While a few may have the required habitats in their yards to support an abundant variety of insect life, most of us are forced to go looking if we want to find an area that offers a good range of bio-diversity in a concentrated area. 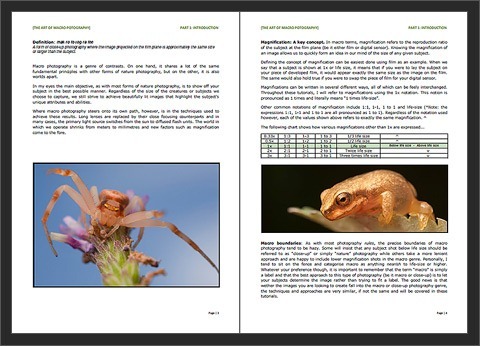 It’s this bio-diversity that helps keep interest levels high and provides a wide range of subject matter. When I first started shooting macro, my biggest concern was simply finding enough interesting subjects to shoot. I tried several nearby locations that looked promising, but none offered more than the odd subject here and there. It wasn’t until after several of these frustrating outings that I finally came across an area that was literally crawling with life in all shapes and sizes. It has been my staple shooting area for the last couple of years and I am still finding new species to shoot. It’s a simple and well known fact that water attracts life. A mixture of running and still water provides both feeding and breeding areas for insects. A lot of insects will limit their existence to a single species of flora, be it a plant, tree or other. The larger the range of flora in the area, the larger the range of potential subjects! While many insect species are happy to co-exist with us, most prefer to do their own thing. Finding an out of the way spot provides a greater chance of finding the more solitary or wary species. A lot of insects spend their lives hiding from potential predators, so the denser the vegetation in an area, the more hiding spots that are available which in turn can encourage larger populations into the area. Linked with points 1 and 2 above. 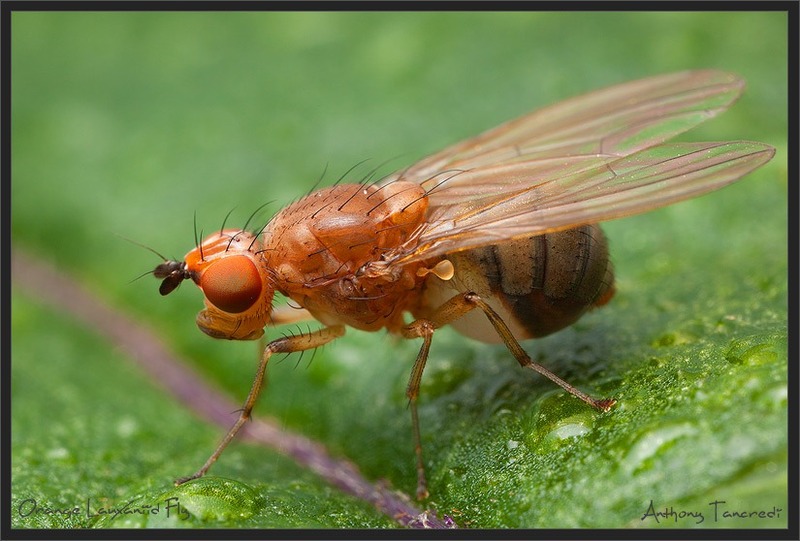 An area with more food sources will usually be home to more insects. In conjunction with this, the correct types of habitat for housing these insects is required if the insects are to become regular visitors. In this sense, it pays to know the habits of your subjects as they can help identify likely areas of habitation. I’m sure there are numerous other traits that make an area good for macro photography, so please feel free to respond with any thoughts on the subject! Since the debacle that occurred at my old shooting grounds at Minnippi park, I have felt somewhat lost in terms of macro. I’ve tried several different locations since, none of which have really been productive. This is partly due to the fact it is the middle of winter here at the moment, but also because of the sites themselves. They all seem to lack once or more of the key ingredients I look for in a macro site. I have written about these ingredients on another site and will make them the subject of my next post here. After this period of macro limbo however, I am happy to report that I have come across a new site that is showing massive amounts of potential! I have visited a couple of times now and each time am seeing different species, including a few that I don’t normally seen until the warmer months. This bodes very well for spring when I can’t help thinking that the area will be crawling with insects. The area is quite large and contains several distinct habitat zones ranging from open grassy fields to acacia forests, scrubby areas and groves of different trees that I am not familiar with. Being spread over a larger area it will take me several more visits to mentally catalogue what species are to be found in which areas, but that is all part of the fun! On a future visit I will grab some images of the habitats to show what the area is like and where I look for subjects. Stay tuned for that one! Enough of the harping on about how great the area could turn out to be I hear you saying! Just post some pictures already :). Ok, as you wish! Below are a few from my latest outing at the spot. Enjoy. I was quite surprised to find this little butterfly camped out on a dead acacia leaf soaking up the morning sun as it is much earlier in the season that I usually see them. Given the pristine wing condition I would guess it is very newly emerged. I see these lauxaniids occasionally but they usually tend to be quite flighty and hard to photography. This one was feeling the effects of the morning cold which made this image possible and much more pleasant than coming away empty ended as I usually do with these! Given the wide spread eyes and massively inflated abdomen I’d guess this is a heavily pregnant female. 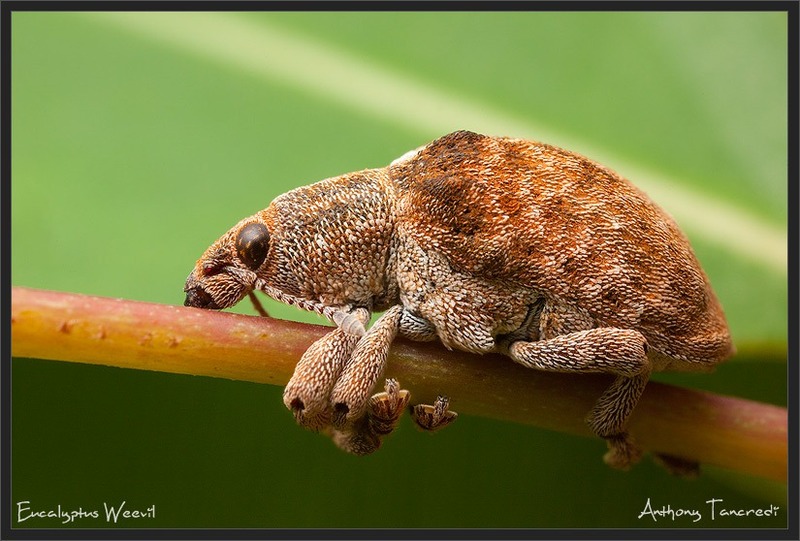 For non-insect lovers, the term “Weevil” usually conjures up images of slug like creatures that infest household food, but the fact is that true weevils are some of the most charismatic insects I come across. The level of detail they exhibit is quite amazing on a small insect and each species has their own personality. It’s always a good day if I find one of these little beauties to photograph! 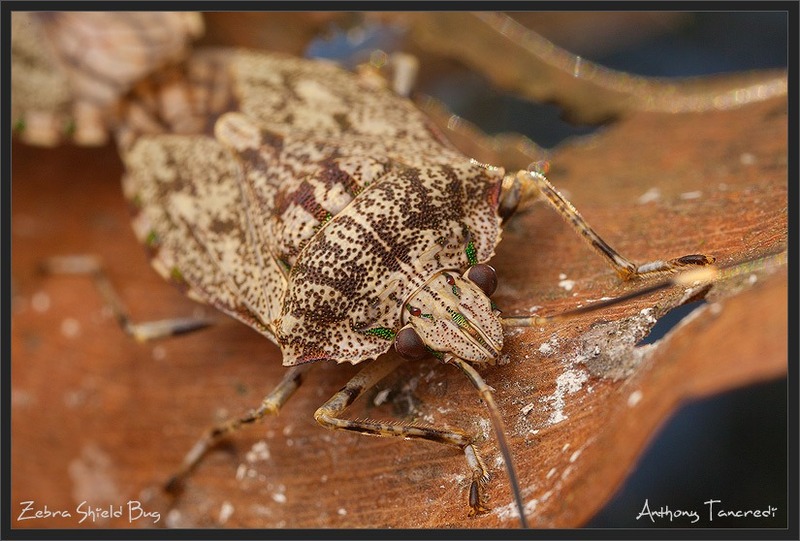 As far as Katydids that I find go, this Gum-leaf species has to be up there as one of the best looking at the nymph stages. The individual shown here is probably around 4th instar and is already losing the intense colouration that the slightly younger versions have. By the time they reach maturity, the eye and leg colouration has all but disappeared and the wings have grown and covered the back colour. 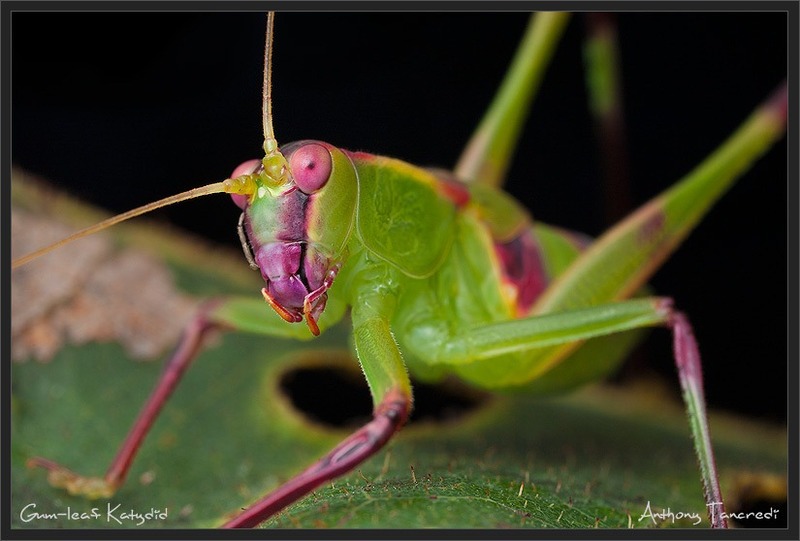 At the early stages however, they are a truly beautiful Katydid. On most occasions the MPE-65 is my ideal macro lens. Bitingly sharp and super versatile, but when it comes to larger subjects it can become frustrating as you just cant fit them all in the frame! That was the case with this Zebra shield bug. While I could fit this single subject in the shot, you can see in the top left hand corner another shield bug with which this one is mating. If the pair was not constantly on the move I would have tried shooting a panorama to stitch together, but given the movement this wasn’t feasible. Ah, well, I guess one shield bug at a time will have to do! You are currently viewing the archives for July, 2011 at Brisbane Macro.